A revised overview of Paul’s letter to the Romans. Traditional Chinese script, translated by mimaigongfang.com. PDF version (250 KB). 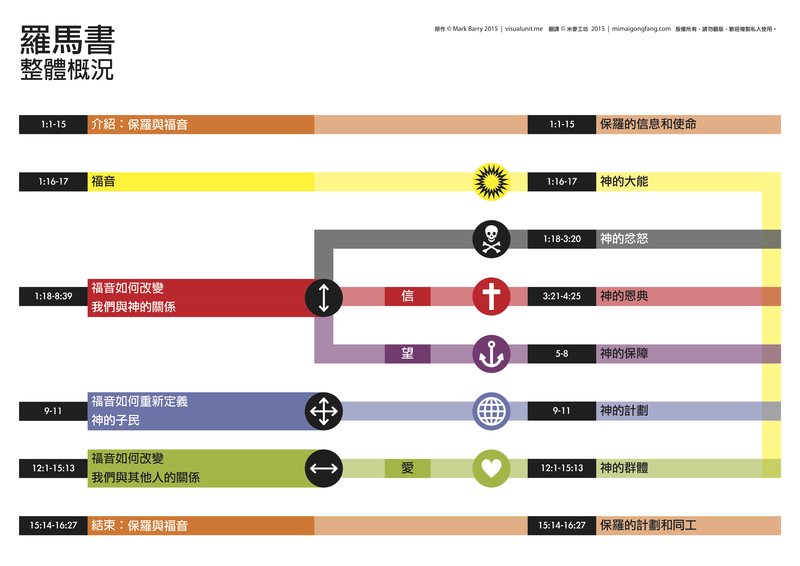 This entry was posted in Chinese and tagged New Testament, overview, Romans. Bookmark the permalink.